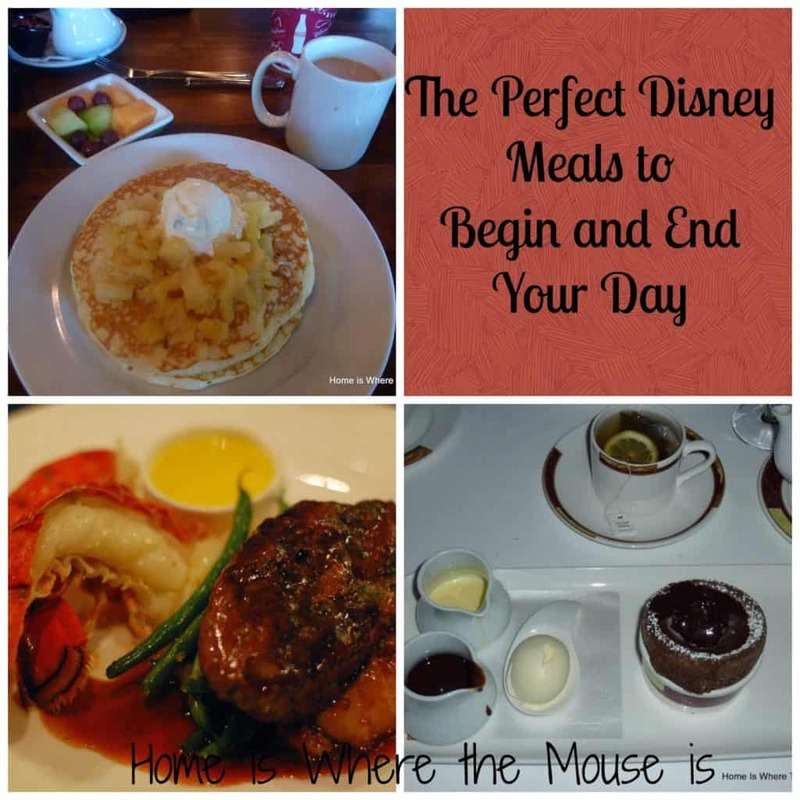 There is so much delicious food to choose from when you visit Walt Disney World. Not only that, but there are a wide variety of locations and amenities that make your meal extra special. Imagine if you had to power to create your ultimate Disney meal. What food would you choose? Where would it be? What extra magic would you include? The possibilities are endless! We have granted ourselves that power and today are giving you both of our Ultimate Disney Meals. We thought it would be fun to include both of our points of view since we have two different tastes when it comes to Disney food. 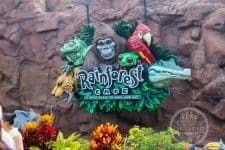 When thinking about my ultimate Disney meal, at first I had a hard time. For me, my most favorite Disney dishes were not ones that were served at dinner. Then it hit me. Why not do breakfast? Besides, breakfast is the most important meal of the day. 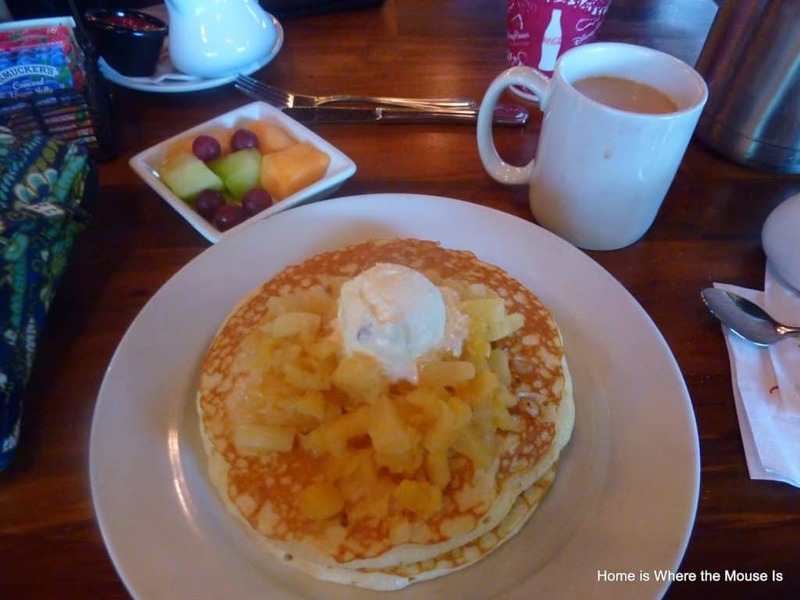 For the food portion of my meal, I pieced together some of my favorite breakfast from some of my favorite breakfast locations in Walt Disney World. For my breakfast, I wanted a great view. 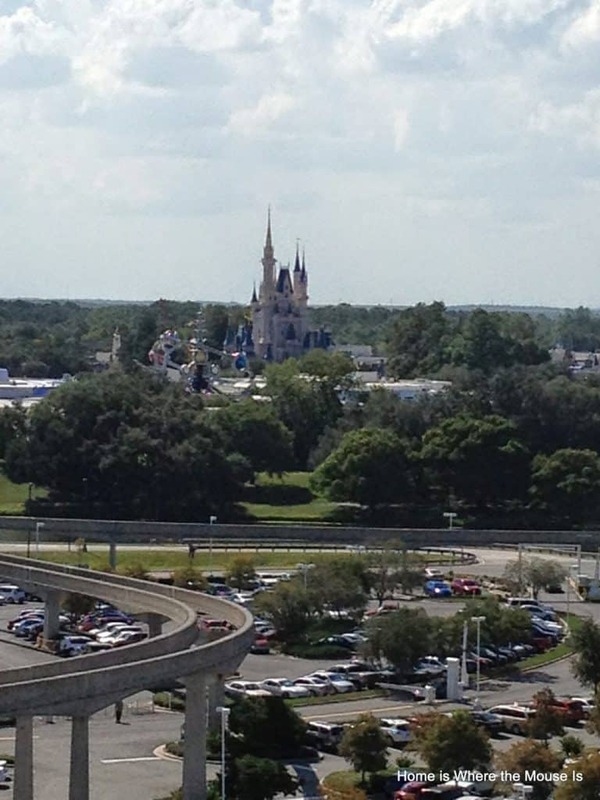 One of my favorite memories is waking up to the view of Cinderella’s Castle from Bay Lake Tower. So my meal will take place in room on the veranda. There’s no better way to wake up. Timed just right, my breakfast will take place just as the Magic Kingdom is opening. Softly in the background I’ll hear the beautiful tune of the Welcome Song followed by the horn of the Walt Disney World Railroad pulling into the station. I’m not a breakfast guy. Don’t get me wrong. I love a good omelet, or some fluffy pancakes with maple syrup, and of course I loves me some bacon. But there are days I wake up and don’t eat anything at all until lunch time. So it’s no wonder I’m usually famished by the time dinner time comes around. My perfect dinner comes from meals I’ve actually eaten. While my appetizer was not served as such when I had it, the portion was small enough that I think it could work as one. Dessert was probably the toughest item to choose, but since this is all hypothetical, flying in my dessert from a Disney Cruise Line ship doesn’t seem that impossible, now does it? Salad: Salad? Ha Ha Ha Ha! Lisa chose such a great spot for her meal that I’m very tempted to do the same. But I think I’ll have mine inside Magic Kingdom. Although nothing from its menu made it into my meal, Casey’s Corner is my favorite counter service restaurant, and I can’t think of a better place to eat my meal while listening to live music from the piano, the Main Street USA music, watching the Main Street Electrical Parade as it goes by, followed by Wishes! I would linger until the kiss goodnight and be the last person to walk out of the park, strolling down an empty Main Street (if I’m able to walk). Ok reading your post made my mouth water so much. I want to eat all of this right now. 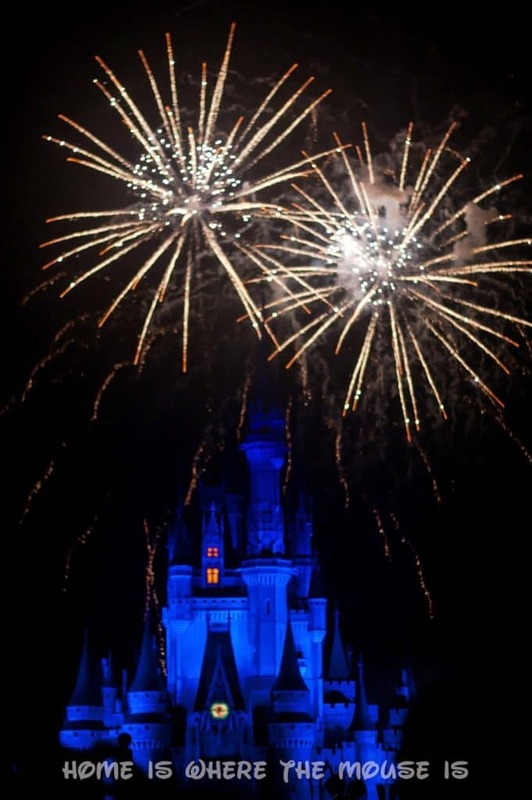 I need to go to Walt Disney World and on a Disney Cruise like NOW! One of the best things about a Disney Cruise is the food. The bad part is you have to go on another cruise to have it again (or is that a good part too). Two great Disney meals. I love that you both shared your favorites and that you both started and ended your day with some great Disney food! What a fun kick-off to an interesting loop. Thanks,Heidi! We eat so differently, we thought it would be fun to share both of our meals. Oh my! Delish!! I'll have one of everything, please. Does that chocolate souffle top Raglan Road's bread pudding, though? I don't think we tried the bread pudding when we ate there. Thanks for the suggestion. 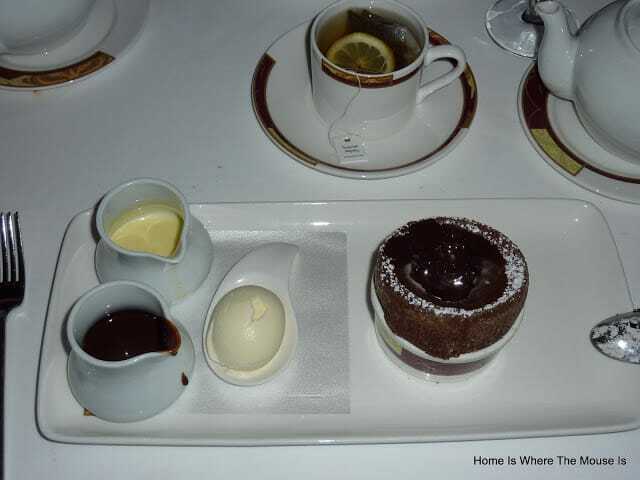 But, the chocolate souffle is seriously the best dessert we both ever had, anywhere! Oh yum! I love both of those meals but I have to admit, James' meal made my mouth water. I love the laugh when it came to salad. Maybe you could create a new salad- like a meat salad? If he could come up with a meat salad, I think he would. Thanks for stopping by! Great choices! I've been wanting to try Kona Café for the Tonga Toast, but I had no idea they had such yummy looking pancakes too! 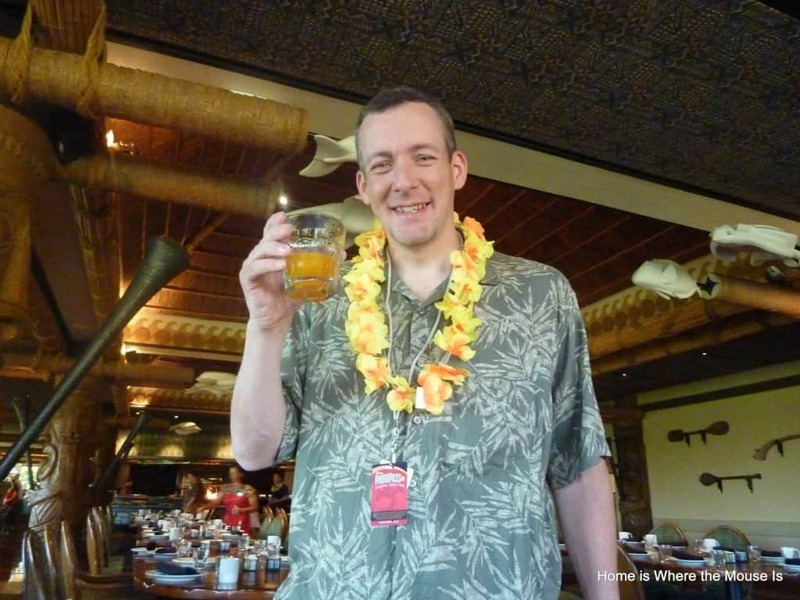 Maybe I can talk my husband into splitting the Tonga Toast and pancakes on our next trip! That's exactly what we did. It's a great plan! Lots of choices!! That chocolate souffle looks great! I do love that cheddar cheese soup as well – thought about doing a soup dinner because some of my favorites items all around are the different soups! I like the idea of soup for dinner too! I love the potato leek from Be Our Guest. Thanks! It was so hard to choose because we've had some delicious food over the years! I love breakfast so Lisa's choices plus the view makes that a winner! We are going to be dining at Palo for the first time in October and I cannot wait to try that chocolate souffle. It looks amazing! You will love Palo! Some of my favorite dinner dishes are from there. I also recommend the mushroom risotto. Delish! I also will be ordering the chocolate souffle this October at Palo. So excited!! It looks wonderful. 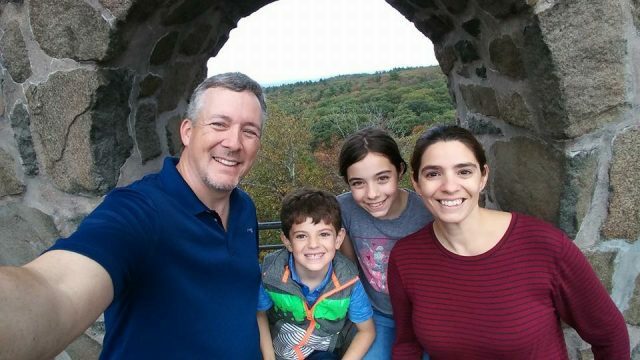 What great meal choices, Lisa and James! 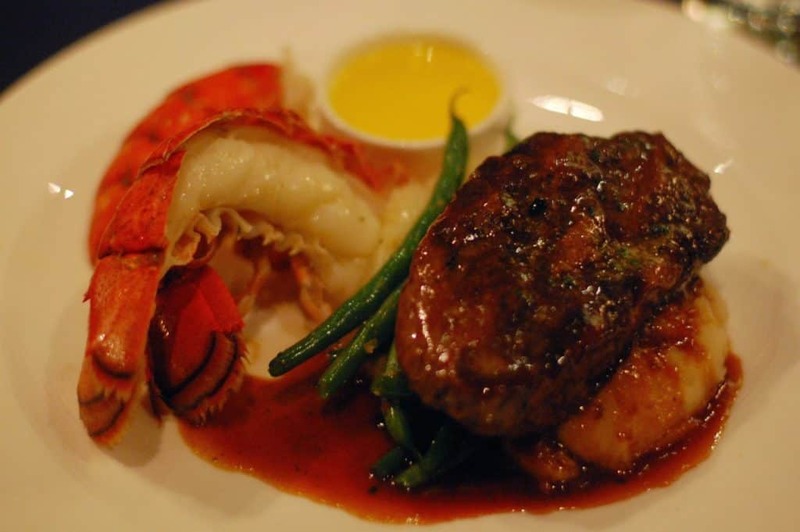 That filet and lobster looks really good! I'll have to take my wife Cindy there one time for a great date dinner! Thanks for sharing! We actually decided to eat at Narcoosees after reading a post Didi wrote. It's definitely worth it. If you time it just right you can watch Wishes from their deck.